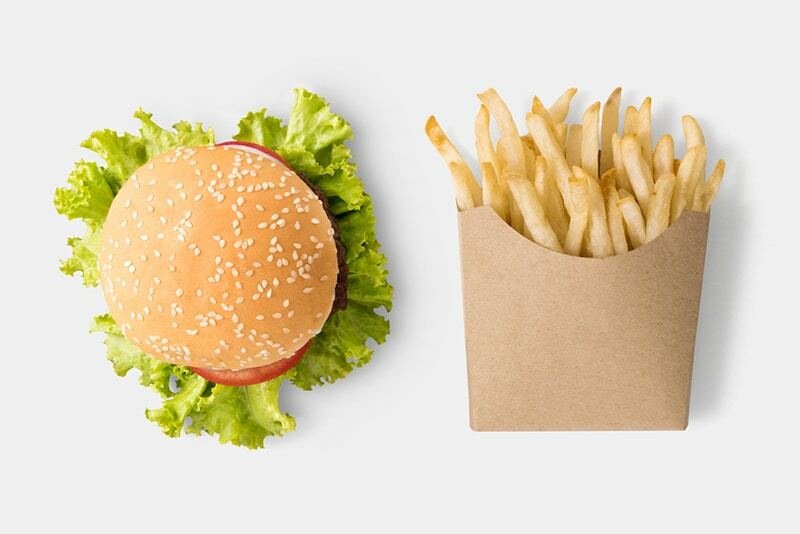 Chi Of Life > Discover > Our Blog > Is Fast Food to Blame for Obesity? Obesity is triggered by a combination of lifestyle factors, lack of movement, food choices, meal sizes have gotten larger and fast food is often highlighted as one of the many causes. But is fast food really to blame for our weight woes? The simple answer is yes; fast food, sugar, portion size and obesity are intrinsically linked, and definitely the main sources of excess calories in contemporary diets. However, with plenty of healthy alternatives out there, obesity is also about choices, and it would be naive to place the blame solely on fast food. To better understand the relationship between fast food and obesity, it’s essential to look how the convenience of takeaway meals has impacted both our eating habits and our health. It’s no coincidence that the rise of fast food culture has coincided with increasing rates of obesity. Over the last four decades or so, our diets have changed dramatically. Rather than preparing most meals at home, people are choosing to eat out more often these days. With fast food establishments popping up all over the place, it’s now nearly impossible to go more than a few blocks without seeing at least one restaurant offering takeaway meals. As the fast food industry has expanded, so too have our waistlines. Eating out makes consuming too many calories a lot easier, leading to the skyrocketing rates of obesity we see today. Studies show that 2 in 3 Australian adults are now either overweight or obese, a statistic that many people would have thought impossible not too long ago. After all, it hasn’t always been this way; our grandparent’s generation never struggled with weight the way we do now, and obesity has only recently been identified as a major public health issue. Of course, fast food isn’t solely to blame for these worrying statistics, but it’s simply impossible to ignore the parallels between the growth of the fast food industry and the prevalence of obesity. Even if what you’re eating doesn’t look all that unhealthy, the methods used in sourcing and preparing fast food are known for eradicating nutritional value. Most of the good stuff gets replaced with sugar, artificial flavours and additives, leaving you with something that, while tasty, probably won’t do your body any good. Some fast food establishments use foods that have been modified from their original version, either for convenience or to cut down on costs. For example, when you order a chicken burger, what ends up on your plate might only contain a fraction of real chicken meat. In addition to be being highly processed, fast food also tends to be packed with more calories than you can realistically burn off, leading to weight gain. So don’t let the glossy images and misleading product descriptions fool you; the majority of fast food is undeniably bad for you. Do you ever walk past a McDonalds and smell that delicious scent of greasy, salty food being cooked? It’s enough to make to anyone’s mouth water. If you have trouble resisting the urge to treat yourself to takeaway, don’t be too hard on yourself – most fast food is designed to be addictive. Meals with the ideal ratio of sugar, salt and fat is called the bliss point and is highly addictive and can be incredibly hard to say no to, especially when you’re feeling tired and rundown. Even though some of these kinds of ingredients are often present in home cooking, the majority of fast food chains use more highly addictive ingredients and cheap processed versions, making them even worse for you, and much easier to get hooked on. The more you consume meals containing highly processed ingredients and high levels of sugar, the easier it becomes to get addicted. High fructose corn syrup – Think sugar is bad? This stuff’s even worse. It’s essentially just a cheaper, more highly processed version of sugar. MSG – Short for monosodium glutamate, MSG is sodium salt of glutamic acid. It comes in a range of different forms, all of which are bad for you. Trans fats – Otherwise known as hydronated oil, this substance is a high-fat, cost-effective alternative to more expensive cooking oils. Preservatives – Designed to increase the shelf life of perishables, most preservatives used in fast food are made from synthetic chemicals. Many of the most popular fast food chains use these ingredients, although it is possible to find healthier options. If you’re trying to avoid harmful fast food, always be sure to check the ingredients listed on the packaging. It’s not just the addictive ingredients that make fast food so hard to resist. Dominated by powerful global brands, the fast food industry thrives on our inability to ignore not just our cravings, but also advertising. From the moment we wake up in the morning, we’re bombarded with ads about fast food, whether it’s on our television screen, mobile phone, or a billboard by the side of the road. Being constantly reminded of fast food is one of the key reasons it plays such a big part in causing obesity. Billions of dollars are spent on fast food advertising in Australia each year, so no matter where you live or how committed you are to losing weight, it’s impossible to escape the lure of unhealthy, convenient meals. Young people are especially vulnerable to this kind of advertising, leading to the development of unhealthy eating habits during childhood. The problem has gotten so bad that there have even been calls for legislation to limit fast food advertising aimed at children. Coronary heart disease – One of the leading causes of death in Australian, CHD refers to the build-up of a waxy substance known as plaque in your arteries. It can cause your arteries to narrow, or block them entirely, stopping oxygen-rich blood from reaching your heart. High Blood Pressure – Also known as hypertension, high blood pressure makes it harder for your heart to pump blood around the body. This condition significantly increases your chances of suffering a stroke or heart attack. Type 2 diabetes – Your body is designed to break down food into glucose, while a hormone called insulin turns the glucose into energy. However, if the level of sugar in your blood is too high, this can result in type 2 diabetes, which limits your body’s ability to produce insulin. Type 2 diabetes can lead to serious complications, such as kidney disease and blindness. Cancer – Doctors have been able to link several cancers with obesity. This is thought to be due to the kinds of hormones associated with fat cells, which can influence the regulation of cell growth, which in turn can become cancers. Developing healthy habits over time is key to beating a fast food addiction. Fat camps such as our beautiful Chi Of Life Weight Loss & Wellness Retreat aim to steer people away from the “cold turkey” idea and instead teach guests to adopt a new and healthy way of living that goes beyond what you eat. This will make it easier to keep your diet on track in the long run, and you’ll be less prone to binge eating. If you know that you’re more vulnerable to wanting fast food when you’re tired or stressed, keep a healthy snack stashed in your bag or desk. Having something to nibble on that is low in sugar and contains healthy fats between main meals will make it much easier to ignore your cravings. To make cooking at home feel like less of a chore, find some simple, healthy recipes that don’t take hours to prepare but still taste delicious. Before you ban fast food from your diet forever, it’s important to remember that it’s not all bad for you. As the issue of obesity has become more prominent, healthy takeaway options are now more readily available, with vegetarian, paleo and gluten-free meals now featuring on the menus of several major fast food chains. Services like Youfoodz, HelloFresh, and Fit & Fresh can even deliver healthy, ready-made meals directly to your home. There’s no question that fast food plays a huge role in weight gain, but rather than demonising all meals produced outside of the home, finding the right balance between eating out and home cooking is essential to maintaining a healthy lifestyle. Trying to improve your diet on your own can be challenging, and if your need some support on your weight loss journey, get in touch with Chi of Life Weight Loss & Wellness Retreat today.